It saves time and involves less power. The Mop Bucket is vertical into the claudication cleaning tank. It moves gently up and down to wash cloth set. After cleaning the mop home in dehydration barrel. After dehydration let the tank to be completely static. Adjust the rod to the appropiate height. Lock up the switch that is cleaning mop complete dehydration. 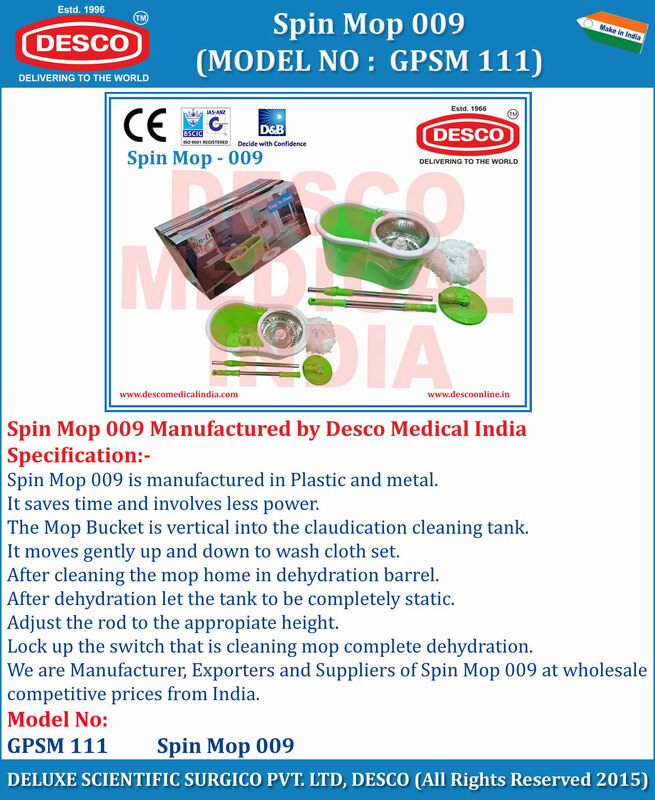 We are Manufacturer, Exporters and Suppliers of Spin Mop 009 at wholesale competitive prices from India.